Seven billion, thirty-six million, three hundred sixty-four thousand, four hundred eighty – a very long numerical word – which could be written as 7,036,364,480. This is not a magic number. It is the total number of humans living on earth, at least since September 1, 2012. While many statistical figures could be extrapolated from this number, let us concentrate on religion and the Bible. Around the middle of 2010, the number of Christians in the world is 2,280,616,000 or 32.4% of the world’s total population. From this total Christian population, the highest number belongs to the Roman Catholic, which has 1,150,661,000 members. While most of the Roman Catholics are no longer practicing or are occasional churchgoers, it cannot be denied that they still remain true to their faith. The guiding book for Christians and from which the Church bases and obtains its doctrines is the Holy Bible. The dictionary defines the Bible as the collection of Christian scriptures, which consists of the Old and the New Testaments. It is also defined as the Jewish scriptures that consist of the Prophets, the Hagiographa and the Torah. Hagiographa, also called Writings, is the collection of twelve books of the Bible, the third of the three main parts of the Old Testament, based on the Jewish tradition. It consists of the Psalms, Job, the Song of Solomon, Proverbs, Ecclesiastes, Daniel, Ruth, Esther, Nehemiah, Chronicles, Lamentations and Ezra. The Torah is the Hebrew word for instructions or teaching. This consists of the first five books of the Bible based on Jewish tradition, and includes the Bereshit or Genesis, the Shemot or Exodus, Vayikra or Leviticus, Bamidbar or Numbers and Devarim or the Deuteronomy. The word Bible comes from the Koine Greek word, ta biblia, which translates to the books. Generally it is a collection of the main religious texts of Christianity and Judaism. 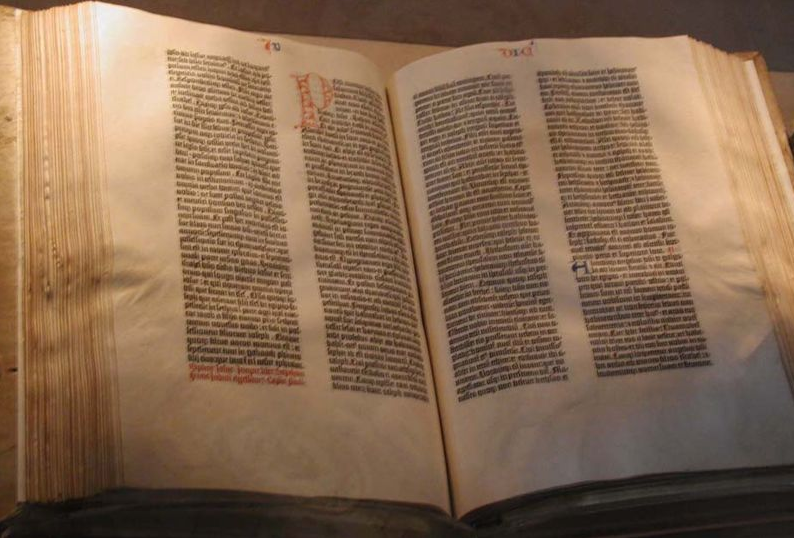 It is safe to say that there is no common Bible version as the order of the Biblical canon or the individual books and the contents deviate within denominations. The Hebrew Bible has 24 books while the Old Testament of the Christian Bible contains 39 books. The Bible used by Protestants has a total of 66 books whereas the Ethiopian Orthodox Church Bible has 81 books. The Tanakh or the Hebrew Bible has three parts – the Torah meaning law or teaching, consists of five books. The contents include the origin of Israel, the laws of the country and the covenant the nation had with the God of Israel. The second part is called the Nevi’im or the prophets, which tells of the history of ancient Judah and Israel and the struggles of nations and its people between the belief in other gods and the belief in the Lord God. This part also includes the criticisms on the unjust and unethical behavior of the elites and the ruling classes in Israel. The last part is called the Ketuvim or the writings. This part is more lyrical as this contains the philosophical and poetic works in books such as the Book of Job and the Psalms. On the other hand, the Christian Bible only has two parts, the Old Testament which has at least 39 books from the Hebrew Scripture and the New Testament and its 27 books. Out of the 27 books of the New Testament are the four books of the Canonical gospels (authoritative scriptures) detailing the life of Jesus, which form the core of the Christians’ religious belief. Books from the Hebrew Bible are included in the Bible used by Christians, although the arrangement is not the same. In the Jewish Bible, the Scripture ends with the Israeli people returning to Jerusalem and the restoration of the temple. However, in the Christian version of the Bible, the Old Testament ends with the Book of Malachi, which contains his prophesies. The oldest and complete Christian Bibles that still exist today include the 4th century Greek manuscripts while the oldest complete Jewish Bible written in Aramaic and Hebrew dates back to the 10th century CE (Christian/Common Era). The Hebrew Bible and some related texts were translated into Greek starting from the 3rd century CE. These are called the Septuagint translation, sometimes called Greek Old Testament or LXX. 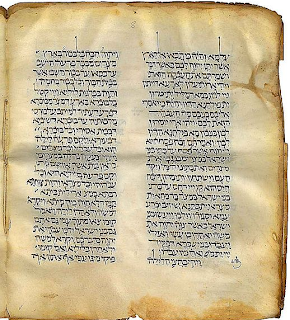 The full text of the Jewish Bible translated in Septuagint is incorporated within the older existing manuscripts of the Greek Bible like the Codex Vaticanus from the 4th century. Based on the most credible story, it was Ptolemy II that ordered the Septuagint translation for the use of the Alexandrian Jews who were more conversant in Koine Greek. The language was the common dialect in Ancient Greece during the time of Alexander the Great until after his demise in 323 BCE (Before the Common Era), before it was replaced by Byzantine Greek sometime within 600 CE. There are many propositions regarding the formation of Christianity. The traditional understanding that was believed for several centuries was that Judaism existed first before Christianity. Later Christianity separated from Judaism, the religion, way of life and philosophy of Jews. The separation occurred after the Second Temple, a Jewish Holy Temple located at the Temple Mount in Jerusalem was destroyed around 70 CE. As the story goes, based on the traditional belief, three centuries after the institution of Christianity during the first century, influential theologians or Early Church Fathers started compiling Gospel (religious doctrines) chronicles as well as letters written by apostles into a Bible for Christians. This compilation later became the New Testament in the Christian Bible. Together with the Old Testament, it forms the totality of the Holy Bible used by the Christian community. While many believed that the contents of the Bible are inspired by the divine, there are disputes that exist between the Roman Catholics and the Eastern Orthodox as well as the Protestants, particularly on the Old Testament. The Eastern Orthodox and the Roman Catholics consider even the Jewish deuterocanonical books as canonical whereas the Protestants only consider those books from the Hebrew Bible to be canonical. Before the Christians had their own Bible, the existing ones were the Hebrew or Jewish Bible and the Greek Bible or the Septuagint. Prior to the creation of the version of the Bible that we know today, there were many versions written in Late Latin. The language dates back from the 3rd to the 6th centuries AD, which reached Spain around the 7th century. The use of Late Latin was ambiguously within the period that existed between Medieval Latin and Classical Latin. Before Classical Latin came into use, there was a time when Old Latin or Archaic Latin was the language that was normally spoken and written. It was collectively classified as all the Latin languages in existence before 75 BC. Vetus Latina was the name given to the collection of Biblical texts written in Late Latin. The collection was not a formal book but just a compendium of Biblical manuscripts. From these came the additions included by scholars and early fathers of the church for the use of their community, with fragments of Biblical passages and sermons that were inspiring in their context. Scholars found that the Late Latin translations were uneven in quality with many grammatical errors and direct reproductions of idioms from Greek and Hebrew versions of the Bible that were included in the Septuagint, not from one single source but from the many versions of the Septuagint that existed during that time. They also believed that the grammatical errors or solecisms came from the use of the different Latin languages. The Latin translation done by St. Jerome on the Bible that is in use today had a large impact on the translations of the Bible from his time until now. The Vulgate offered a Latin translation that was singly stylistically consistent from the original sources. And from then on, the use of Vetus Latina faded into oblivion. 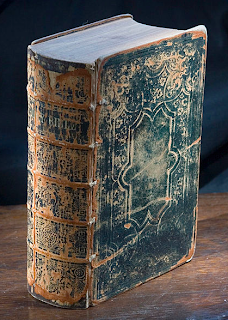 Although initially not wholly welcomed by Christians who were used to the old translations, the Vulgate persisted and during the Council of Trent, the Vulgate translation of the Bible was acknowledge as the Roman Catholic Church’s official Bible. What is the Vulgate? The Vulgate was the first direct Latin translation of the Old Testament from the Hebrew Bible, done by St Jerome upon the request of Pope Damasus I in 382 AD. It was a revision of the different Latin translations of the Bible. During the 13th century the Latin translation done by St. Jerome became known as the versio vulgata, which means the commonly used translation. Although largely the work of St. Jerome, some parts of the Bible were not attributed to him, including the totally unrevised Epistle to the Laodiceans, 4 Esdras, 1 and 2 Maccabees, Prayer of Manasses, Ecclesiasticus and Wisdom; Baruch, 2 Esdras. Epistles, Acts, Apocalypse and Letter of Jeremiah that were revised by unknown person/s. These were written in Old Latin. The parts that he worked on include his independent translations of the texts from Hebrew of the books from the Jewish Bible. Although not part of the previous books, he also translated the Psalms. He translated from Greek to Latin the Theodotion with the addition of the Song of the Three Children, The Idol Ibel and the Dragon, the Story of Susanna, and the Book of Daniel. From the Septuagint he translated the other chapters of Esther and added these to the Book of Esther. From the Hexaplar Septuagint he translated and made the second revision on the psalter, called the Versio Gallicana of the Book of Psalms, which became the basis for the Gregorian chants. 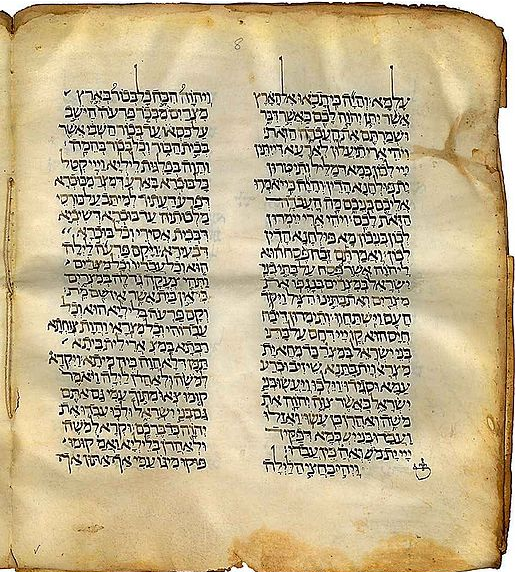 Tobias and Judith, from the secondary Aramaic version were freely translated by St. Jerome while he revised the Old Latin text of the Gospels, referencing his work from the oldest available Greek manuscripts. From being tasked by Pope Damasus I to revise the Old Latin text of the four Gospels to be based on the Greek texts that were available, he later embarked on translating almost the whole Bible particularly when he was forced out of Rome in 385 AD and settled in Bethlehem. He used the surviving manuscript of the Hexapla, the Old Testament that was compiled by Origen of Alexandria. He first started with the Psalms, translating from the revised Septuagint in Greek to Latin before moving on to other books, and creating new translations in between. He translated all the 39 books of the Hebrew Bible from 390 AD to 405 AD while the Psalms got further revisions, which from his notes seemed to be the nearest to Hebrew original as he could get. He was also very conservative in his approach to the Latin translations, as requested by the Pope. While doing the translations, St. Jerome made several notations of his observations and kept his correspondences with other scholars and other people to whom his translations were sent. Sixteen out of the seventeen prologues in the Vulgate were the observations and notes of St. Jerome, as previously described. For more than a thousand years from 400 AD up to 1530 AD, the Vulgate was the most influential text in Western Europe, encompassing the Middle Ages, the Renaissance and the Early Modern Period, the time when it was the only Bible version that this part of the world encountered. Many vernacular versions of the Vulgate Bible were introduced later. The English version that is closest to the original text of the Vulgate is the King James Version, also called the Authorized Version of the Holy Bible. This version was done by the Church of England from 1604 until its completion in 1611. The Vulgate also made contributions to the development of the English language with the addition of new words, with many retaining its meaning and spelling. Some of the words include creatio, salvatio, justificatio, sanctificatio, testamentum, rapture, regeneratio, apostolus, publican, evangelium, and angelus andecclesia. Inspired by the Holy Spirit, a Papal encyclical letter from Pope Pius XII that was published on September 30, 1943. In the letter, Pope Pius XII called for new translations of the Bible based on the original languages other than St. Jerome’s Vulgata. He stressed that by doing so, a deeper and fuller understanding of the meaning of the sacred texts could be achieved. There were various exhaustive works done on the original Vulgate, with scholars correcting various grammatical and orthographical errors that occurred when handmade copies were done for the Vulgate. The Mazarin edition that was published in 1455 by Johann Gutenberg and Johann Fust was one of the most notable. 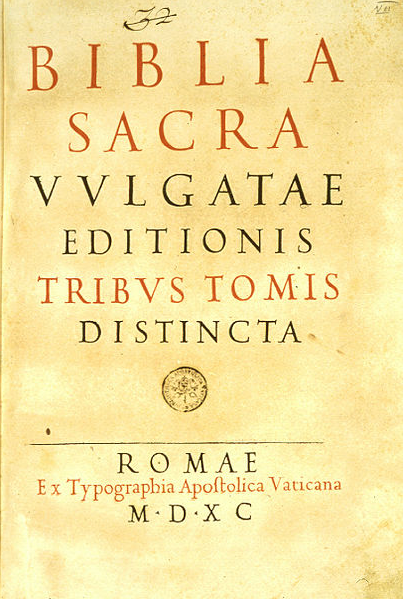 The Clementine Vulgate was created to replace the Sixtine edition of the Vulgate. The Sixtine was ordered by Pope Sixtus V in 1590. Due to the hurried printing, errors were made on the publication. The Clementine edition, created under the direction of Pope Clement VIII rectified the errors and published three printings of the Clementine Vulgate in 1592, 1593 and in 1598, showing the new grouping of the prefaces written by St. Jerome and the omission of Psalm 151, which the Eastern Orthodox Church accepts as a canon. On the other hand, Psalm 151 is considered by the Jews, Protestants and the Roman Catholics as apocryphal. Until 1979, in which time the Nova Vulgata was promulgated, the Clementine Vulgate done in 1592 was the standard Bible text used in the Roman Catholic Church’s Roman Liturgical Rite. 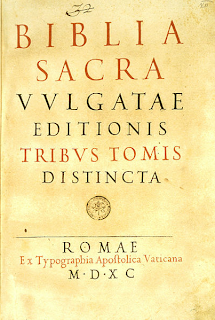 The Holy See uses the Latin Edition of the Nova Vulgata for its liturgical rite. The Nova Vulgata contains the revisions done on the Latin Psalter after the Second Vatican Council. Pope Paul Vi appointed a commission to revise the Vulgate, with the resulting Nova Vulgata getting published in full in 1979. In this edition the foundational text of the Old Testament were done by the Benedictine Abbey of St. Jerome monks under the direction of Pope St. Pius IX. Here the basis for the books of Judith and Tobit were the Vetus Latina while the 1969 edition of the Stuttgart Vulgate was the basis for the New Testament. The revisions were done by the modern scholars because they felt that the meaning of the original languages were not grasped fully by St. Jerome or were otherwise rendered obscurely. Likewise, some of the books like the Book of Esdras 3 and 4, the Epistle to the Laodiceans and the Prayer of Manasses are not included in Nova Vulgata. Its translation is presently used in the most current editions of the Roman Ritual, the Liturgy of the Hours and the Roman Lectionary. For the technology inclined, there are online texts available for the Vulgate. You would know which version you are reading by the way the name of Eve in Genesis 3:20 is spelled. You are reading the Clementine Vulgate when the spelling of Eve is Heva. If it is spelled as Hava, you are reading the Stuttgart version of the Vulgate. And if it is written as Eva, then you are reading the Nova Vulgata.